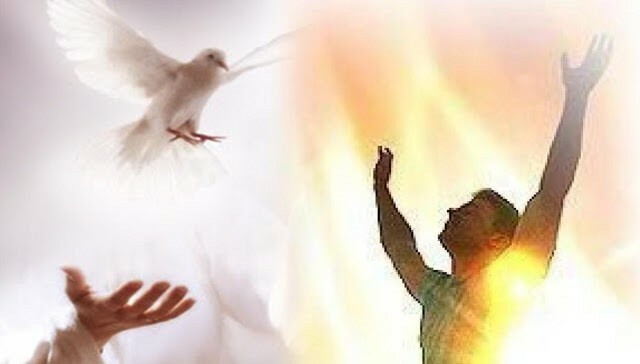 How is the the baptism with the Holy Spirit and filling with the Holy Spirit demostrated? What are the cases when the “baptism with the Holy Spirit” is demonstrated and when is the “filling with the Holy Spirit” manifested? All disciples were speaking the mighty deeds of God, as a result of the baptism with the Holy Spirit. I think that this was the main manifestation. As soon as people came and asked for explanations regarding what had happened to the disciples in the day of Pentecost, Apostle Peter answered to those who were preaching about the Lord Jesus a message that pierced to the heart. Even if it is not used the expression “the baptism with the Holy Spirit”, it is clear that people asked what they should do to be baptized with the Holy Spirit and Apostle Peter told them to repent and be baptized, that is a manifestation of receiving the message of Peter, who presented that Jesus Christ is the Christ, the Son of God and only by faith in Him they can be saved. People received the words of Apostle Peter, repented and were baptized, that means that they were baptized with the Holy Spirit as well, they received the gift of the Holy Spirit. At the same time, Apostle Peter presented them all the conditions they had to know to be baptized with the Holy Spirit and saved. They were continually devoting themselves to the apostles’ teaching, that means they were showing passion and discipline in studying the Holy Scripture, wanting to know well God’s will for their lives. Because the Holy Scripture was not published then, as we have it nowadays, these people baptized with the Holy Spirit were continuing in the temple day by day, where they were devoting themselves to the apostle’s teaching. They were continually devoting themselves to fellowship and an example shows us they were sharing the possessions with all, even if they were not forced to do this, but because they felt with one another. All people saw the difference, because those who were baptized with the Holy Spirit were taking care of other children of God, and that was a manifestation of the Holy Spirit, to take care of the needs of your brothers and sisters. They were continually devoting to prayer, this showed a total dependence on God and a desire of intimacy with Him. Everyone kept feeling a sense of awe of God and, very evident, their greatest priority were that the holy things and the living with God. The baptism with the Holy Spirit happens only once in life, when a man believes with all his heart in the Lord Jesus, when he repents and enters the covenant with Him. Filling with the Holy Spirit refers to some certain life situations in a Christian life, when he needs more courage, strength, wisdom, etc. But this doesn’t mean that a Christian lives without the guidance of the Holy Spirit when he doesn’t face these situations. An example is described in the Book of Acts, chapters 3 and 4. After apostles Peter and John healed the crippled man at the gate of the Temple and after many people believed in Lord Jesus, apostles were brought before the Council to account of what had happened. They preached with an unusual boldness. In the end, they were threatened not to preach the Name of God anymore to not be persecuted. Here were filled with the Holy Spirit people who had already the Holy Spirit, who had been baptized with the Holy Spirit before, and the authorities tried to intimidate them not to tell the Gospel. They were filled with the Holy Spirit to speak the word of God with boldness. Through this is demonstrated the filling with the Holy Spirit. The one who is full with the Holy Spirit preaches the Name of Jesus with boldness and is not intimidated by the enemies of the Gospel. Have you been baptized with the Holy Spirit? If not, you can not be filled with the Holy Spirit. You have to believe in the Lord Jesus Christ and to enter the covenant with Him, to be born again and so you will be baptized with the Holy Spirit who will come to live in you. Then, be always filled with the Holy Spirit and speak the Word of the Gospel with boldness.